If you are stuck for a few minutes at a traffic signal in the Bangladesh capital Dhaka , you will probably see children rushing up to the windows of your vehicle. Some of these children carry flowers; some have a stack of books in the crook of their arms, some carry bundles of newspapers and some have candy for sale. They try their best to earn sympathy from commuters to sell their goods. This painful scene is ubiquitous on the streets of Dhaka. These street children are known as Pothoshishu. The street is where they earn their living. 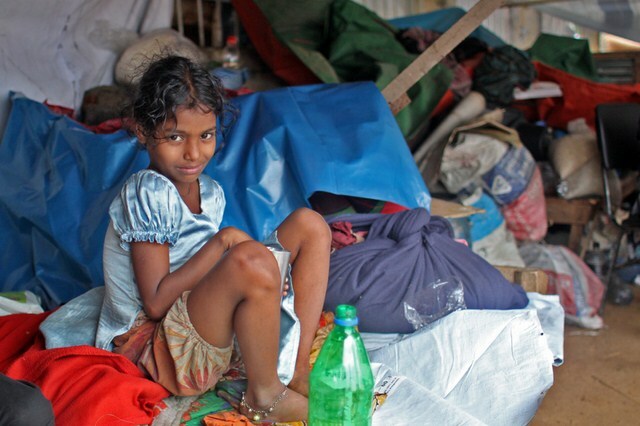 On March, 2012 Unnayan Onneshan  published a report titled “social connection of the street girls in the context of Dhaka city, Bangladesh ” [pdf]. 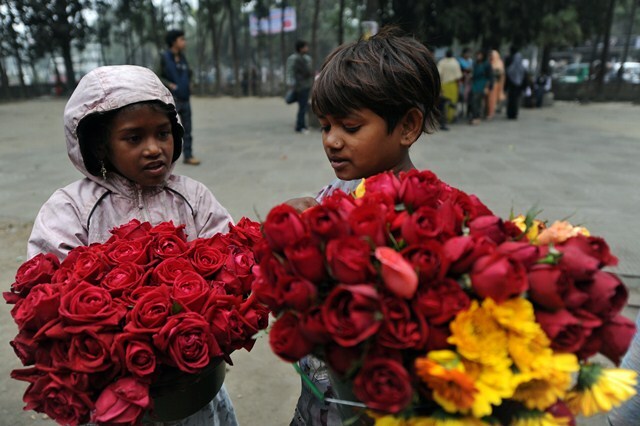 The research shows that the majority of the street girls (37.50%) sell flowers for a living. 18.80% of these young girls are forced into prostitution, 6.25 % work in the clothing industry, 6.25% become beggars, 12.50% start as shopkeepers and 6.25% are paper-hawkers. Almost half of these girls have a measly daily income of Tk. 101-299 ($1.25-$3.75). The daily income of 43.75 % of the girls is Tk. 300 (US$3.75) and above. But they seem to be the lucky ones, because 6.25 % of the street girls earn less than Tk. 100 ($1.25) per day. Almost 45% of these girls do not receive any treatment from government medical facilities or clinics. 3 out of 10 of these girls have never been enrolled in any type of educational institution.